We are fans of Buffalo chicken wings with the fixins’. I recreated this spicy, flavour-packed meal on a pizza. The sauce is Frank’s Red Hot Buffalo Wing Sauce. 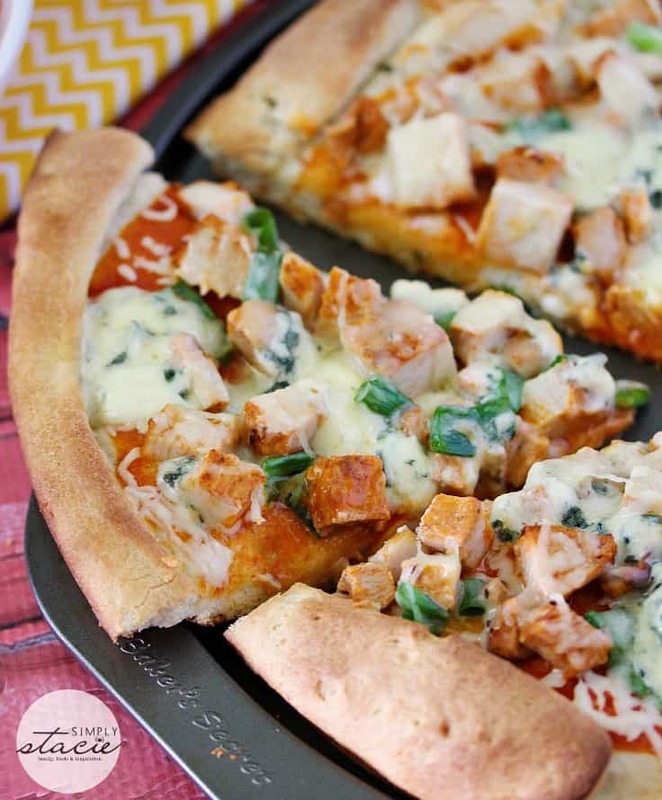 Add some chopped chicken breasts, crumbled blue cheese, a little green onion and melty mozzarella. Dip your slices in Ranch dressing if you like to cool down the heat of the sauce. 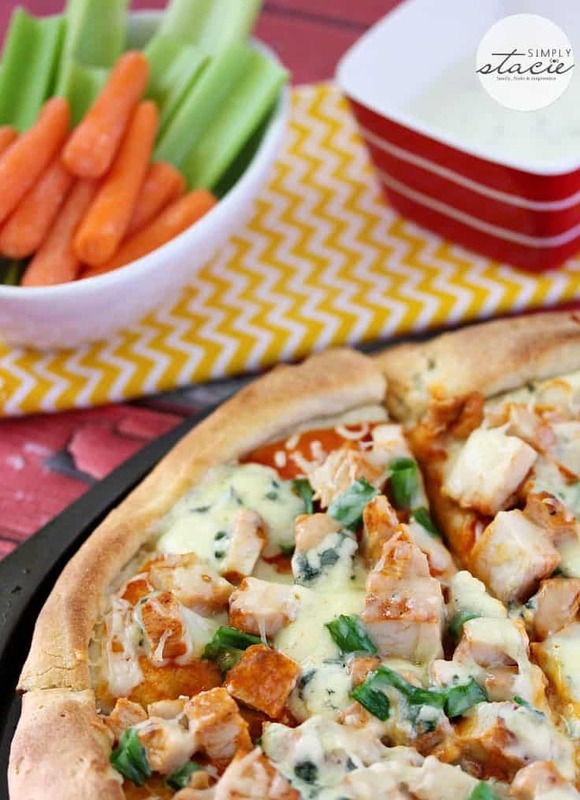 Serve with a side of celery and carrots with a Ranch dressing. That makes it a little healthier right? 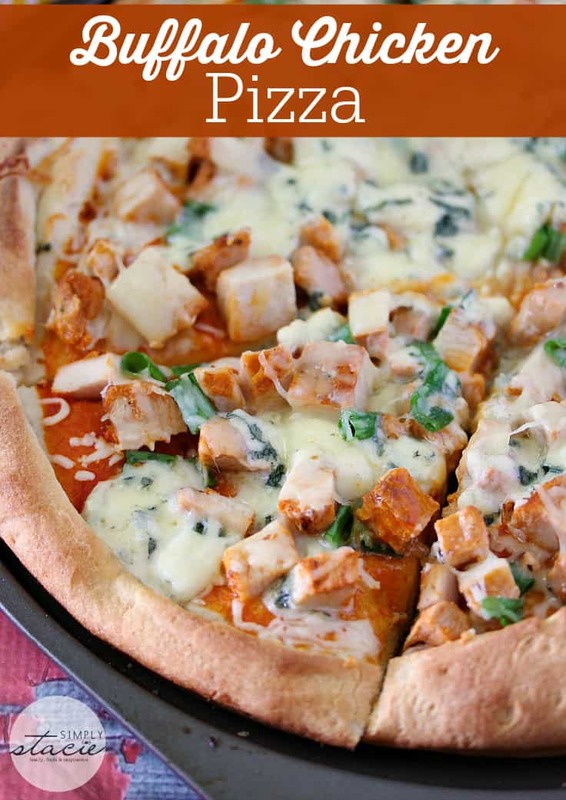 If you are a fan of buffalo wings, chances are, you’ll enjoy this pizza too. It’s delish! Blue cheese is an acquired taste. I find people either love it or hate it. I personally love the pungent flavour. John, on the other hand, said that he would have preferred it without. He said the pizza was delicious except for the cheese. Keep it or leave it depending on your own personal taste. For more buffalo chicken recipes, try my Buffalo Chicken Sliders. I’m curious – are you a fan of blue cheese? 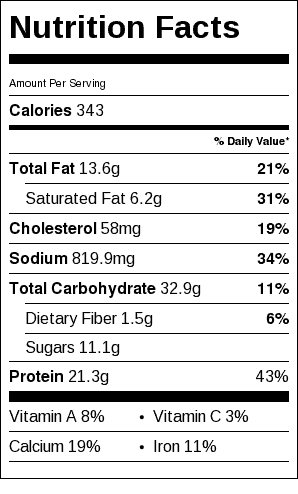 Would you add it to the pizza or leave it off? 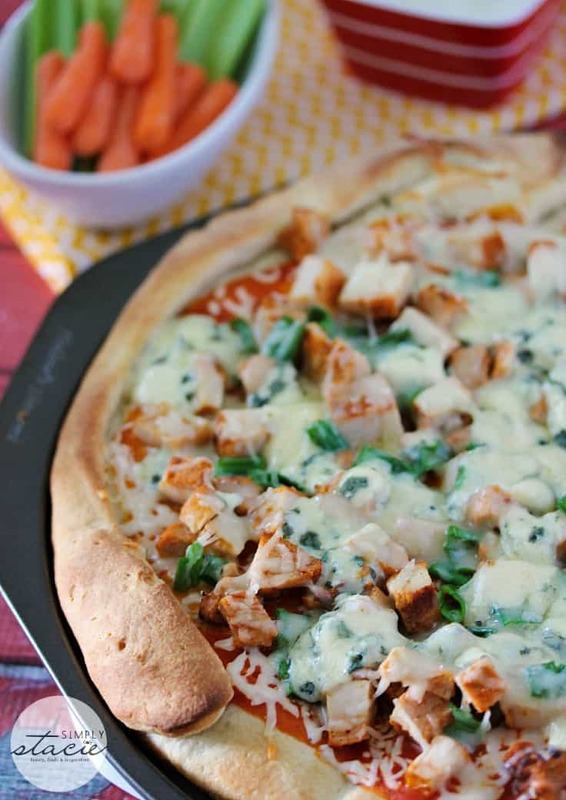 All the buffalo flavours we love, but on a pizza! 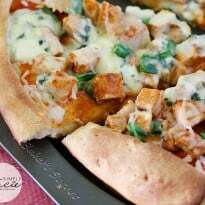 This Buffalo Chicken Pizza recipe is a hit. 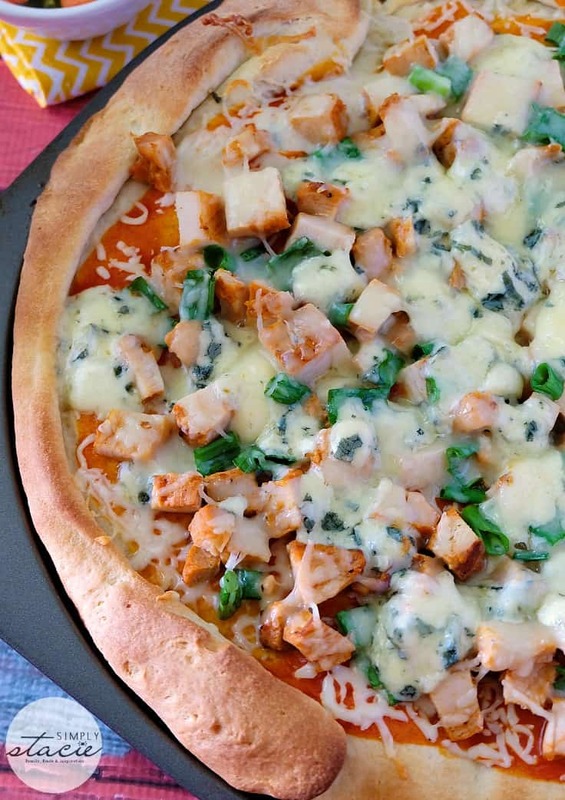 Spread Buffalo sauce over pizza crust, leaving a gap around the edge. Evenly distribute green onions and chicken over the sauce. Then top with blue cheese and mozzarella cheese.